1．	Working principle The radio frequency technology adopted in BRT system actively removes the harmful effects of high frequency signal, such as unsteadiness of distance control, wandering and environment influence, by combining low frequency with high frequency. The radio transmitting makes use of the characteristics of 134.2KHz low frequency electromagnetic wave, successfully achieves accurate control distance, nonproliferation transmitting and invulnerability to circumstances. The low frequency signals are received by 3D antenna which can receive signal in any angle. Communication and commands are managed through low frequency , unlimited by distance. 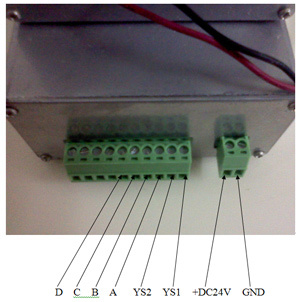 High-speed communication can also be achieved by using wireless communication module. Currency there are two ways to install vehicle RF. One way is to put it inside the cover of door mechanism of front door, and leads the LF antenna to front windshield. This method is usually used on reworked old cars or new cars without necessary wiring. The other way is to put it under the driver control panel, and leads the LF antenna up to front windshield. This is usually found in new cars with necessary wiring. 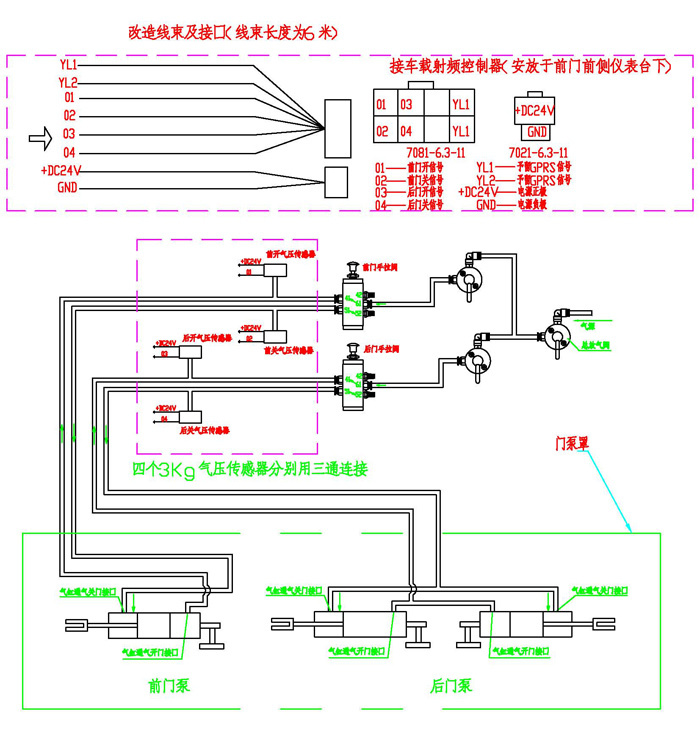 By diagram of Controller Interface, we can see that the RF controller needs signals that are coincident with vehicle door operation signals to work simultaneously with vehicle door. For BRT system in Guangzhou, there are two modes of vehicle door controlling. One mode is to send input signals directly through switches to CAN module, which then outputs electrical signals to 2/5 solenoid valve to control the car door through cylinder piston. This is called Electrical-pneumatic control. The other mode is to operate car doors directly by manually controlling 2/5 reversing valve and reciprocating movement of cylinder piston. And this is called Pneumatic-pneumatic control. 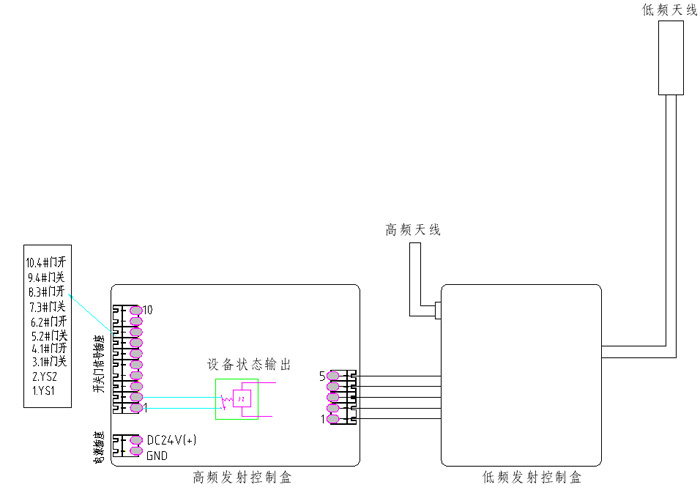 Therefore, input of RF signal has two ways: Electrical-pneumatic control is sending four signals(frt door open/ frt door close/ rr door open/rr door close) directly through CAN module. Pneumatic-pneumatic control needs to change pneumatic signals of reversing valve to electrical signals, thus it needs four pressure switches(3KG, nornally open) to mount besides the reversing valves at front&rear doors to send the four electrical signals. 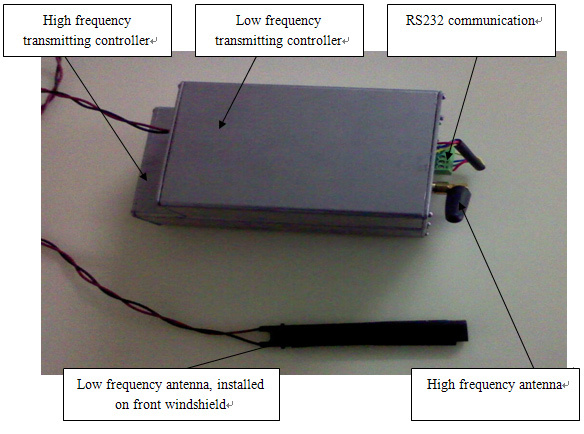 Everytime before running the vehicle, its RF should be tested by a professional RF detector provided by our company. It is required that the RF signals received by the detector is synchronous with vehicle door operational signals, i.e. when front door opens, the detector can receive front door opening signal simultaneously. If any desynchrony happens under Electrical-pneumatic control, the electrician should adjust the vehical door controlling switches or input signal sequency of RF interface. If any desynchrony happens under Pneumatic-pneumatic control, check if any pneumatic valve does not return after operation. The manual reversing valves between front and rear doors should reverse in the same direction. If the electrical signal is wrong, the electrician should change it.